Tesla still hasn't achieved the planned production numbers of the Model 3. In fact, in February the production was even halted temporary to solve a big issue: the quality of parts. The reason Tesla isn't able to achieve the planned numbers of the Model 3 output is the flow of defective or flawed parts. According to the company insiders, reported by CNBC, about 40% of components that go to assembly production are different from the original specification. Could we say that the 40 percent of the Model 3 parts supplied to Tesla were defective? This is a huge number. Because of this, Tesla has to do additional checks, and sometimes resort to recovery operations. As a result, the assembly time is extended. Certain parts can be restored by the employees of a special center. But that center is 50 miles away from the production site. Only the special center has the necessary drills and the other necessary tools to handle this types of jobs related to the parts. The company, we are told had to attract and hire additional technical personnel to carry out repair work, which was done on the assembly line. In fact, according to Autoblog "Tesla has been bringing in teams to help deal with the high defect rate and the backlog of flawed parts. Team members come from service centers and remanufacturing lines where they regularly see what parts have problems. Reports say that Tesla has been sending parts from Fremont to its remanufacturing facility in Lathrop, Calif., rather than fixing them on the line. Tesla, too, denies that remanufacturing teams deal with rework." 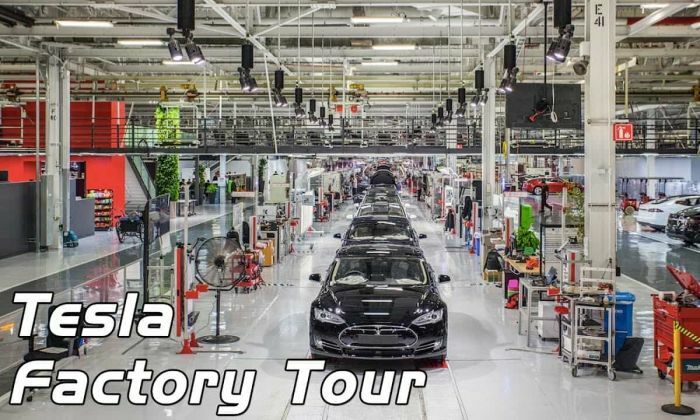 Tesla representatives have indicated to the media that the production engineers are not engaged in repairing cars or repairing the flawed parts. Their task is to assemble the Model 3. Yet, the Tesla Model 3's quality is controlled by 500 criteria. Therefore, when you have lots of defective parts supplied to you, checking with 500 quality criteria will slow down the production of Model 3. In the third quarter of the previous year, Tesla planned the production of 1.5 thousand electric Model 3s, but in fact it was possible to produce only 220 units. The reason for the backlog at that time was the need to adjust the factory system. In February of 2018, the problem was already in the delivery of a line designed to assemble batteries. But this milestone suggests that the production of the Model 3 was seriously picking up in February of 2018.